Born in 1944 in Vicksburg, Mississippi, Burnett grew up in Los Angeles, where he still lives today. After a vocational foray into electronics, he studied filmmaking at UCLA. The city’s black working-class Watts neighborhood was the setting for both Killer of Sheep — amazingly, his thesis film, and a Library of Congress National Film Registry inductee — and in 1983, My Brother’s Wedding, his second feature. More magical reality reigned in To Sleep with Anger, a little-appreciated 1990 project headlined by Danny Glover as an Old South trickster visiting a family. Thereafter, Burnett’s work appeared more often on television, including PBS documentaries on immigrant America and slavery liberation hero Nat Turner, a slavery drama for Disney and an installment in the historical omnibus The Blues. With Killer of Sheep and My Brother’s Wedding finally on DVD — and a new film on the way — Burnett admirers and newcomers alike can devote themselves anew to one of America’s great filmmakers. Stop Smiling: Most people know you through independent work like Killer of Sheep and To Sleep with Anger, but you’ve worked with Disney a couple of times on some interesting material. 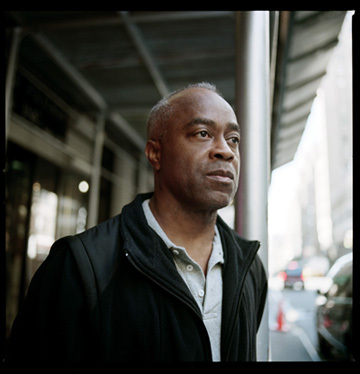 Charles Burnett: Yeah, I did Nightjohn for Disney, and I did Selma, Lord, Selma for them [about Martin Luther King’s 1965 marches in Alabama]. I also did a film for Oprah, The Wedding, which was on television. SS: How was your experience with Disney? CB: Well, for Nightjohn I was surprised that Disney wanted to do a film on slavery. It was good because the people were really competent. They really wanted to make a story that would have an impact. I worked with David Manson and some others. We were all on the same page. Selma was the same way. It wasn’t some war between producer and talent at all. SS: What were you aiming for with Nightjohn, in terms of improving on past depictions of slavery? CB: Roots was the biggest one, and that’s basically it. It’s all distorted. We were trying to represent an objective experience in a sense, and to show that these people, in spite of everything, understood the power of learning, of words and language. They could learn to be free. I was hoping that young people and children now would see that and appreciate that, and demand a better system of education. You can comprehend the world — because of that, it frees you. Because people then died for being able to read and write. Also, I wanted to show the legacy, that slavery was not some benign institution. It was horrendous, and people are in denial. They fully recognize that. SS: It’s interesting that children were foremost in your concerns. What struck me while watching Killer of Sheep again recently were all the deeply felt scenes of children playing. CB: It’s basically from their point of view. They’re growing up and becoming desensitized. For them it’s about having to survive this rough environment, where it’s not about right and wrong but about self-preservation and family. It’s you against the world. That cancels any kind of debate within yourself about right or wrong and moral issues. For Stan [the main character, father of two of the kids], it’s also about a man having a sense of responsibility and moral compass. And he doesn’t give up. All he can ask for is to keep his family intact. SS: A lot of that comes through in the intense opening scene — the stand-alone introduction where a man gives a real talking-to to his son. The characters don’t appear again. It’s like an overture. CB: Well, I never thought of it in those terms. They set the tone, a certain feel, and touch on some of the themes present in the film. In My Brother’s Wedding, in the longer version, there’s an opening scene in a church, and besides the man with the harmonica [the current opening scene], you see a whole church and people being baptized. It brings up religious responsibility, and later Pierce [the main character] is reading the Bible to his grandparents. SS: I think I saw it as an overture because your films are so deeply entwined with the rhythms of the music. How early do you think of the particular music for a given scene? CB: I think about it quite early on. The music always plays a big part in the scenes to create a certain mood. In Killer of Sheep, it’s part of Stan’s character, part of the environment — the blues, and the stories these people tell.